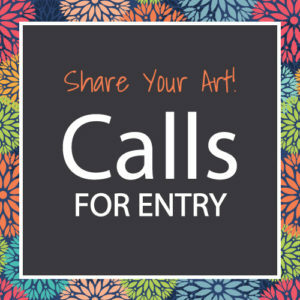 The Newark Arts Alliance organizes a changing display of art in local businesses around Newark. Here’s what’s on view for June 2018, presented in order as you travel down Main Street. If you would like to have your work featured in any of these locations please contact the program coordinator: Pamela Skwish at pskwish@yahoo.com. The Perfect Blend beautiful cafe on Main Street where you can enjoy a delicious cup of coffee and a Liege Belgian Waffle. They also have a well lit and nicely arranged lounge area where they show works by local artists. 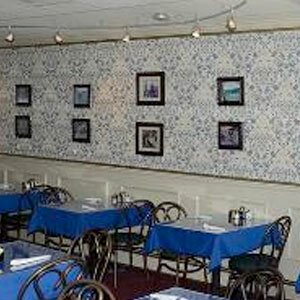 Sinclair’s Cafe is a cozy breakfast and brunch restaurant on Main Street. Works by NAA artists are displayed throughout the restaurant. 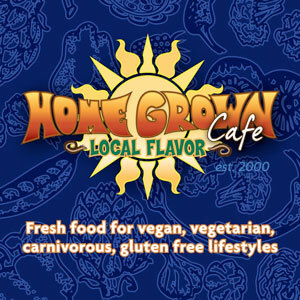 Home Grown Cafe is a downtown Newark staple, residing centrally on Main St. for over 17 years. Enjoy made from scratch food for vegan, vegetarian, carnivorous & gluten-sensitive lifestyles in a family friendly environment. Our bar features a large array of spirits including house crafted libations, over 65 beers, and boutique vineyard wines. Colorful walls are adorned with local art, and local music fills the space Wednesday through Saturday evenings. HGC hosts an amazing weekend brunch – available both Saturday and Sunday from 9:30 am – 3 pm. Catering with customized menus and staff is available for any style of event. Brewed Awakenings, on Main street, is a fair trade organic coffee and tea shop. They have a wallet-friendly menu with soups, hot and cold sandwiches, salads, baked goods, bagels, etc. Plus a great display area for local art!